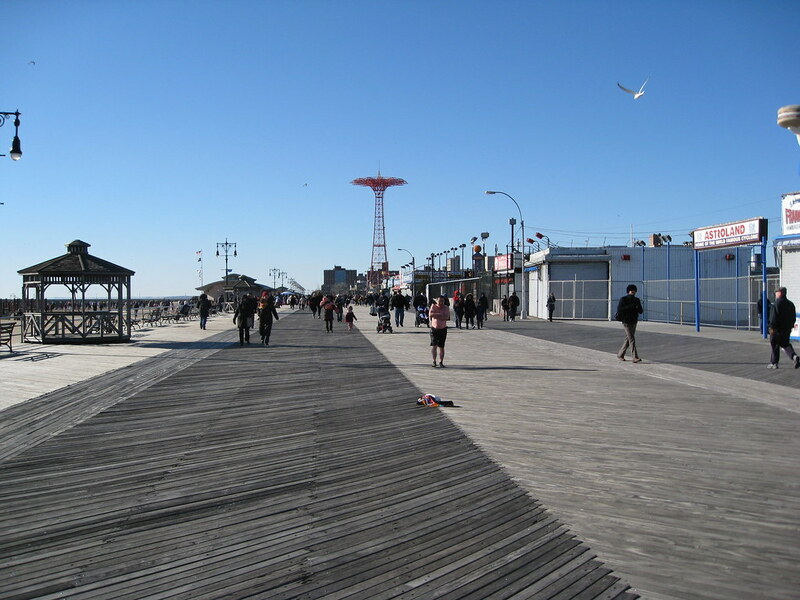 It was perfectly freezing out and we were watching people, soaked, in bathing suits, their skin glowing red with capillaries near-to-bursting, walking along the boardwalk at Coney Island. The wind blew around our earmuffs, but there was merriment going on with these folks. Probably shock-to-the-system endorphin explosion. 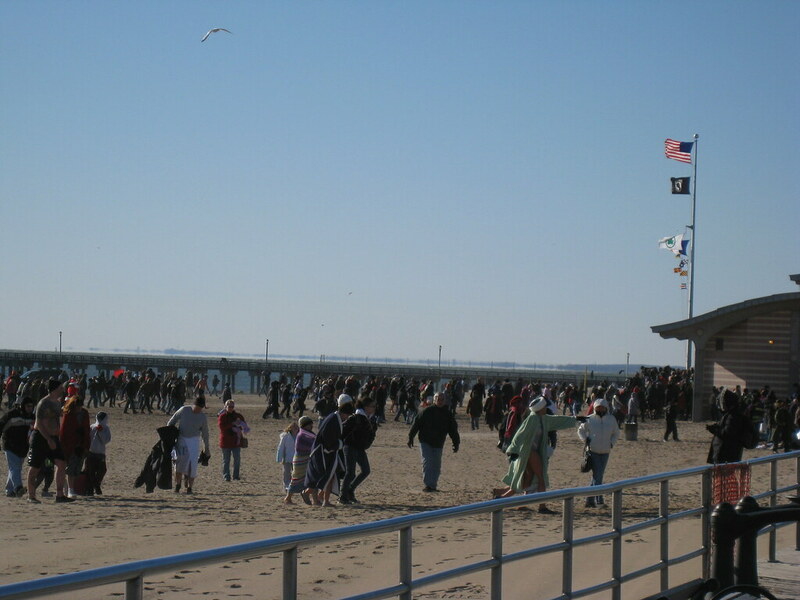 Each year, the Coney Island Polar Bear club hosts a celebration of New Year’s Day by inviting hundreds and hundreds of people to dip in the Atlantic. Just bathing in icy cold water isn’t enough of a shtick though, so many participants add a bit of flair. Yes, there were also a few zombies out there who got to go in with clothes on, as well as layers of clammy make up. We totally missed the immersion, but a zombie tells me that the experience is mostly…. numbing. It’s not so bad, he says, just numb. And then you want to go to sleep. Sounds a bit like death to me. Zombies got it right.